Have you ever been close enough to a whale to smell the fish on their breath, or the smile of a shark so wide you can see the inside of their gills? Have you ever crossed an ocean to land on a remote coral island so low it is obscured by the white of the surf, and the undersides of clouds and fairy terns painted a pale blue from the light reflected by the shallow lagoon? Few have. So many of us are so absorbed with our busy lives we are unable, or unwilling to make the sacrifice to do the extreme, or take the risk to adventure to travel to remote islands, to explore, to dive with sharks and sea turtles and whales. It why we turn to media, to Blue Planet or National Geographic to share the magnificence of the ocean and marine life. 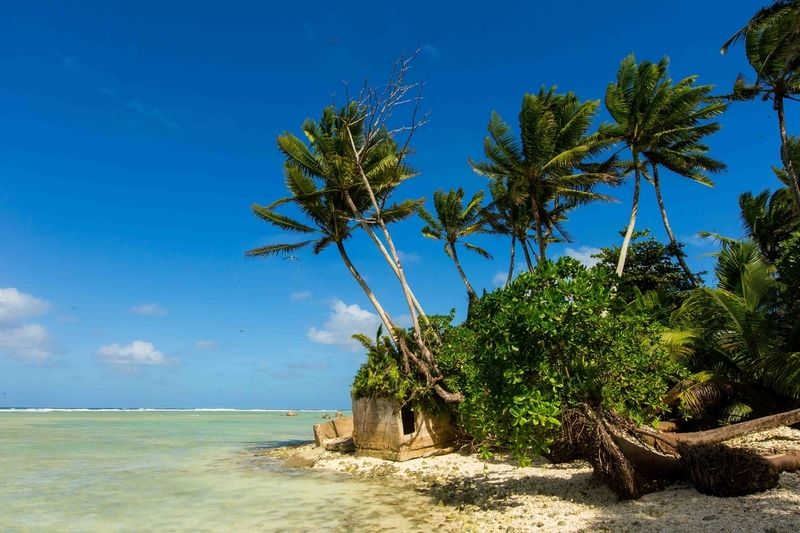 Located 1000 miles south of Hawaii, Palmyra Atoll is a natural laboratory for the study of climate change, ocean acidification and as control for islands overfished. It is now part of our Pacific Remote Island Marine National Monument. I and a few of my friends and colleagues have been fortunate enough to cross the void and enter the ocean wildness, and document the experiences and share the beauty of remote reefs and dazzling denizens. Now we are sharing the opportunity to dive into the lagoon of Palmyra Atoll, glimpse the azure lagoon of Kure Atoll in the Papahanaumokuakea of the northwest Hawaiian Islands, or glimpse the tempestuous seas in our Greater Farallon Islands National Marine Sanctuary. Over the past two months I have been putting together a show featuring some of the wildlife and habitat of our Pacific Marine National Monuments and nearby National Marine Sanctuary. The photographic exhibition sponsored by Tandem Stills + Motion, Shark Stewards and Earth Island Institute features work by Ian Shive, Susan Middleton and David McGuire. The show contains 20 images from Palmyra Atoll in the Pacific Remote Islands Marine National Monument, Kure Island in the Papahanumokuakea Marine National Monument northwest of the Hawaiian Islands, and the Farallon Islands, featuring coral reefs, tropical vistas, and marine wildlife from white sharks to whales to coconut crabs. What is particularly poignant about these areas is that they have been protected from overfishing and development, thanks in part to the work of photographers and filmmakers to document and share them, and they are now currently at risk by the current administration who proposes to strip their protected status. “Photography and film is an immensely power tool to educate the public — and the world — about these special places. They are like no other place on Earth. Their vast, untouched beauty is a remarkable example of conservation success with vibrant marine life and intact ecosystems,” said Ian Shive, contributor of colorful canvases from Palmyra Atoll, an island 100 miles south of Hawaiian and part of the Pacific Remote Islands Marine National Monument. Just because you can’t see the beauty and complexity of these remote protected islands, doesn’t mean it’s not important to us all. Only a relative few can actually experience being in the water with sharks or crossing an ocean to find them. It’s up to us, the photographers and storytellers, the filmmakers to share these experiences in wilderness and wildness. These stunning images allow the public to see and appreciate these marine protected areas and wildlife that are currently at risk by the administration. Palmyra supports one of the region’s last surviving stands of Pisonia grandis coastal forest. These gnarled white giants tower over 100 feet while rooted in coral and sand less than 10 feet above sea level. 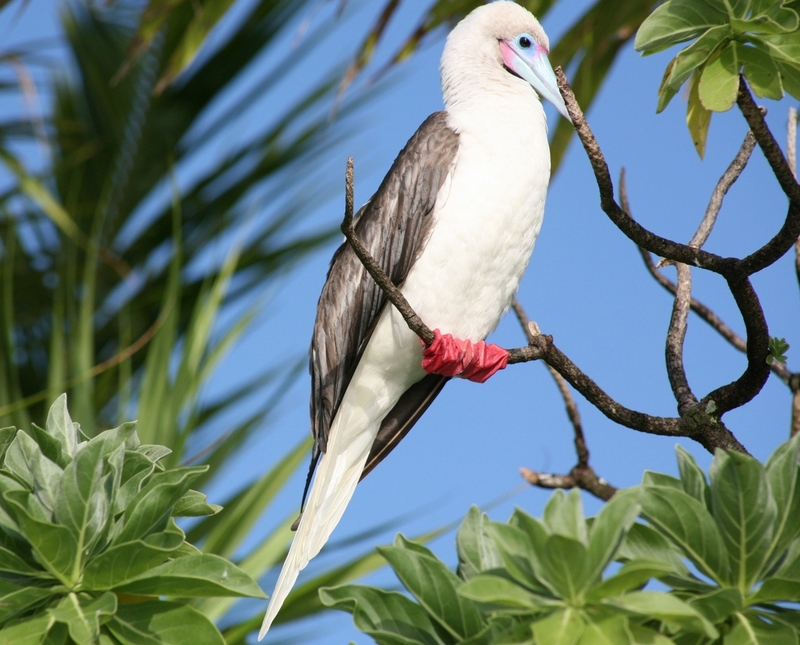 The planet’s largest terrestrial invertebrate, the coconut crab (Burgis latro), crawls among the bush, and the island hosts thousands of nesting seabirds, including the second largest colony of Red footed Boobies (Sula sula). 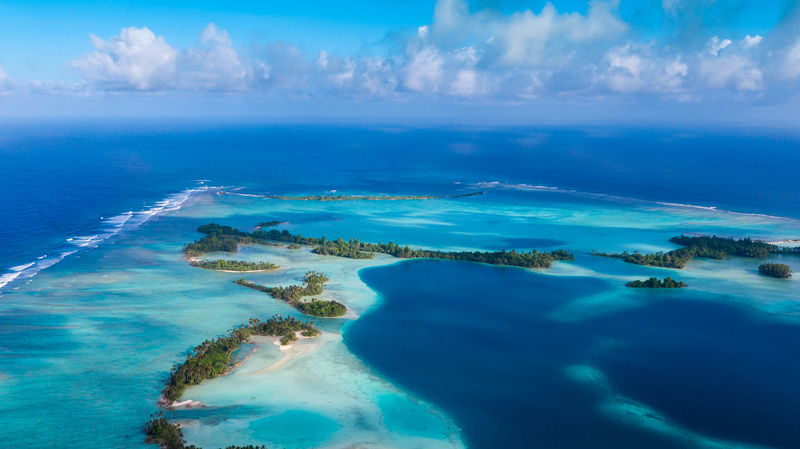 Although few can visit or see these far-flung Pacific islands, these wild protected places have inherent value to all Americans, and as part of humanity connected to Nature. In fact, even though we can’t touch them ourselves, it is because they are there, the few remaining healthy reefs rich with sharks and sea turtles and whales make them worth protecting. The reef systems are some of the healthiest in the world and they also serve as areas for study, offering scientific insight and solutions as the rest of the ocean is overfished, wildlife vanishing and reefs are degraded. 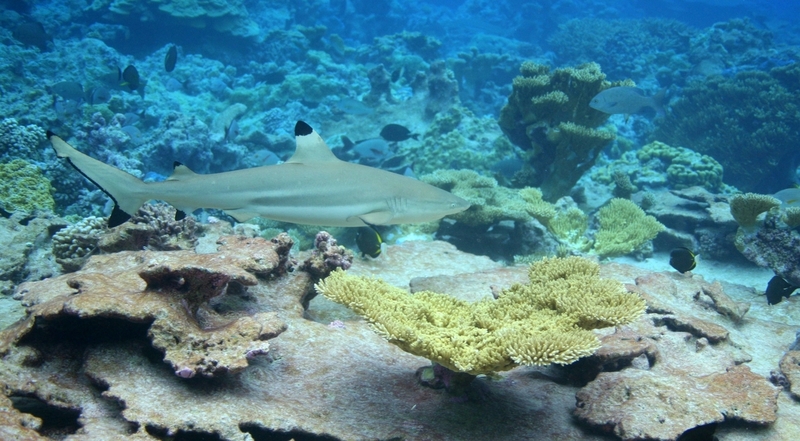 Both Pacific Monuments rank second and third globally in area under protection. If reduced, the highest marine protection in USA could decline by as much as 50%. The islands of the Papahanumokuakea and the Pacific Remote Island Marine National Monuments provide sanctuary to endangered sea turtles, sharks and whales, and serve as important laboratories to study coral reef health, climate change and ocean acidification. These reefs and islands are some of the best wild places in the world, because of protections made by the last two presidents. In addition, our recently expanded Greater Farallones National Marine Sanctuary could be shrunk and the seabirds and whales that gather here from around the globe could be put at risk to development and extraction. We are holding this exhibit because we have been fortunate enough to visit these remote islands, and we have the obligation to share our experiences so that these wild places remain wild and healthy. Photographic Exhibition on Marine Sanctuaries, Monuments and Their Protection Launches at Bay Model, Sausalito. A month-long exhibition of rare marine wildlife and exotic habitat in the Pacific Remote Islands Marine National Monument and Greater Farallones National Marine Sanctuary at the Sausalito Bay Model. The photo exhibit is free and open during public hours at the Army Corps Bay Model Visitors Center in Sausalito, Tuesday though Saturday 900AM- 4:00PM throughout May. Select photos will be offered by donation to support Earth Island’s campaign to protect the Pacific Remote Islands Marine National Monument.